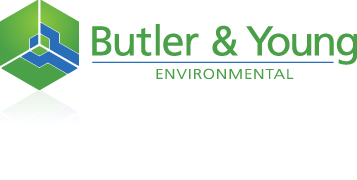 Environmental | Butler & Young Group Ltd.
Butler & Young are a thought leader on compliance with regards to accessibility, sustainability and environmental issues across the built environment. From being influential in the field of statutory compliance we also engage with a variety of stakeholders with regard to energy efficiency and decarbonisation. Our focus is not only on helping our clients achieve statutory compliance but too meet their own targets and agendas amid the pressures of corporate social responsibility. At the same time we are committed to ensure that we support Government and wider society in achieving energy efficiency and carbon reduction targets across the built environment. Our in house accessibility and environmental services are complimented with a range of services delivered in collaboration with our trusted partners at Energy Rating Services. Our Accessibility team can develop Access Statements to demonstrate compliance with Part M of the Building Regulations and other legislation and guidance. Our team have extensive experience in carrying out Access Audits across all sectors of the built environment. They provide pragmatic advice on specific accessibility issues and for more general compliance with the Equality Act amongst other legislation. You can find out more about these services by clicking here. The current economic and environmental climate create pressures for businesses of all sizes and types. Our resilient and deep network of affiliates and partners provide comprehensive knowledge of the energy market and via dedicated client account management help in managing risk and energy costs. National, most regional and local authority planning policy includes a requirement for 10% plus renewable energy provision or an equivelent offset. Developments of over 10 dwellings or 1,000 sqm of non – residential floor space to provide 10% of its energy requirements from renewable sources. Low or Zero Carbon technologies will often have to be utilised to meet the emission targets of Approved Document L (October 2010). Low or Zero Carbon technologies are becoming increasingly critical as local planning authorities adopt policies requiring Code for Sustainable Homes and BREEAM compliance. We can provide renewable energy consultancy and project delivery services for all types of renewable options for public, private and commercial Clients.